Other Notes: includes 8 year warranty, adult electrode pads, battery, user's guide, and data cable. The G5 is a great device and one of the newest on the market. One thing that makes it unique is its ability to shock in under 10 seconds, which few devices can claim to do. 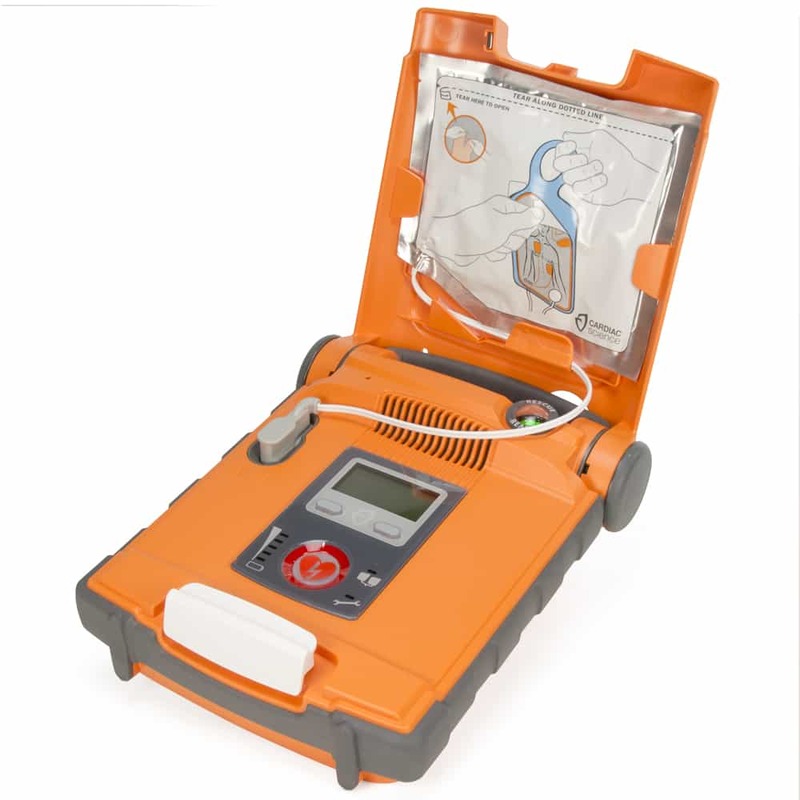 It also comes with proprietary technology like Adult Intellisenseâ„¢ CPR Feedback, also known as ICPR, Defibrillation Electrode Pads with CPR Device available. It comes pre-attached to the Adult Defibrillation Pads and is automatically recognized and synchronized with the G5. 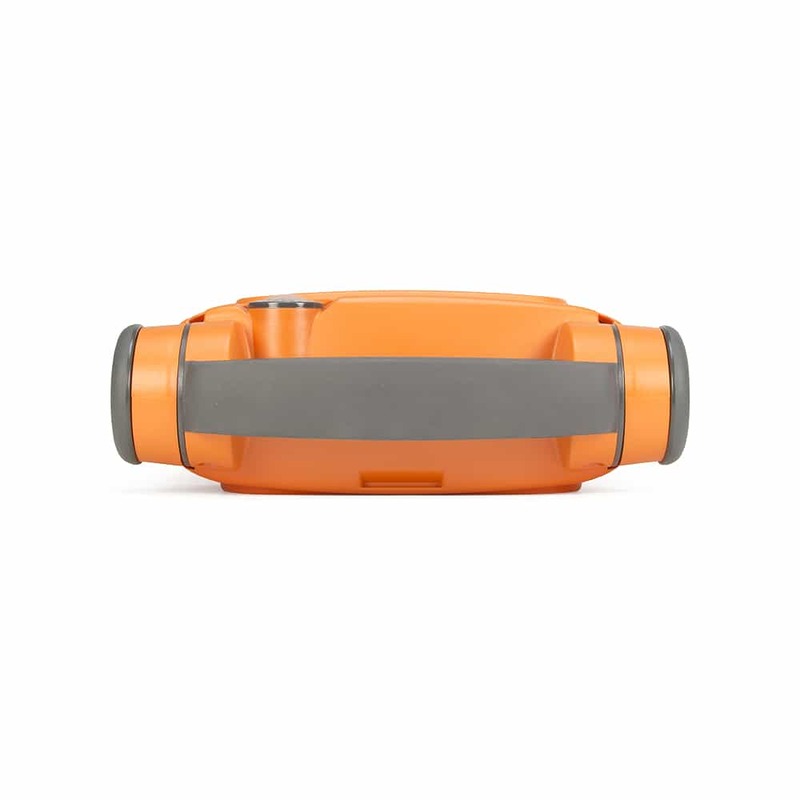 It offers clear, concise instructions and feedback in real-time on chest compression rate and depth. 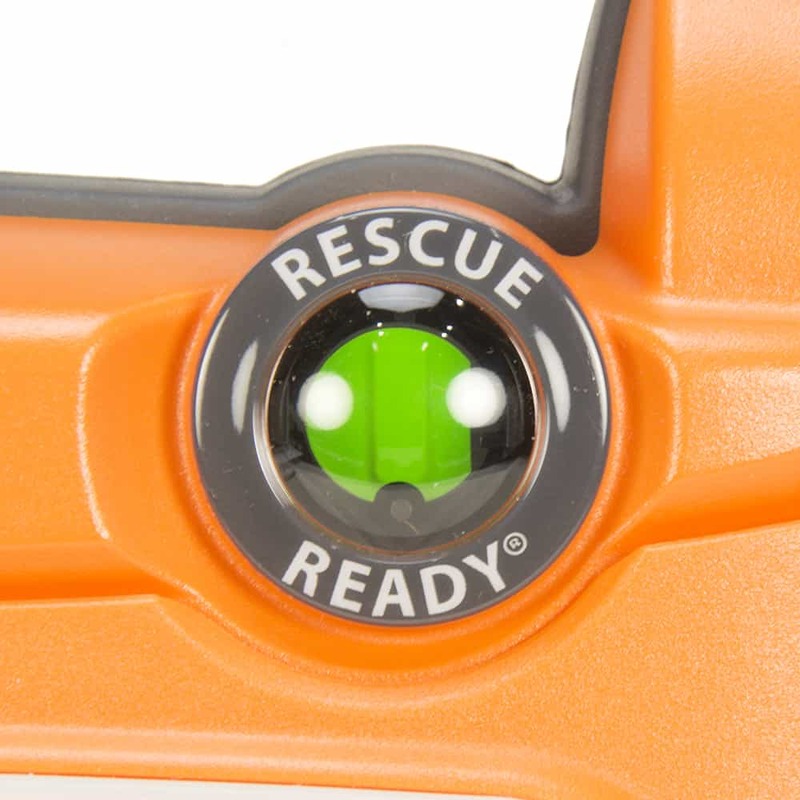 These are great features to have for a lay rescuer who has never had to use an AED or do CPR before. 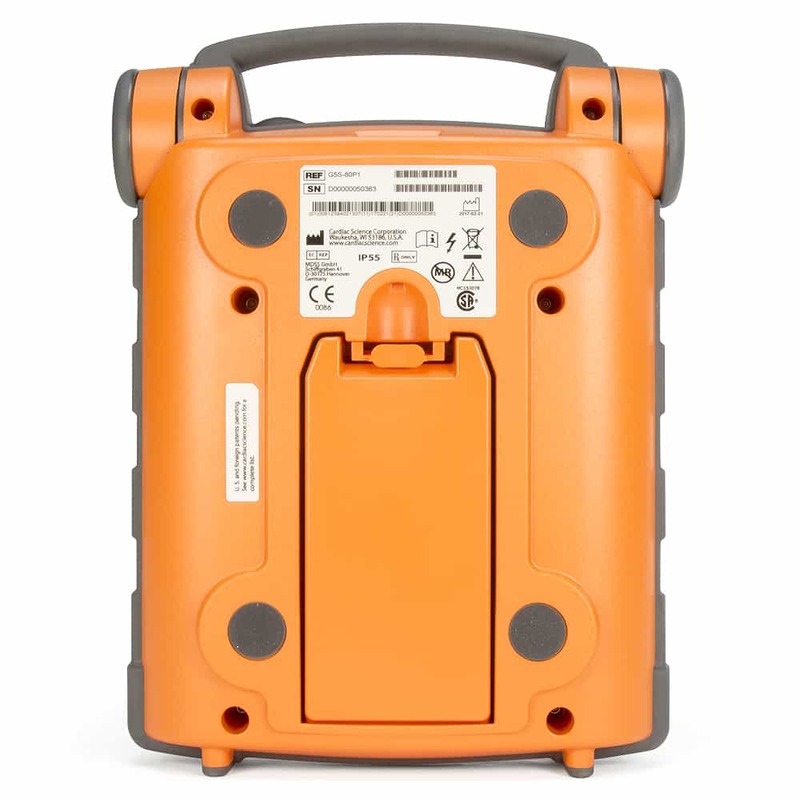 The Powerheart G5 is Cardiac Science's latest addition to their line of automated external defibrillators (AEDs). 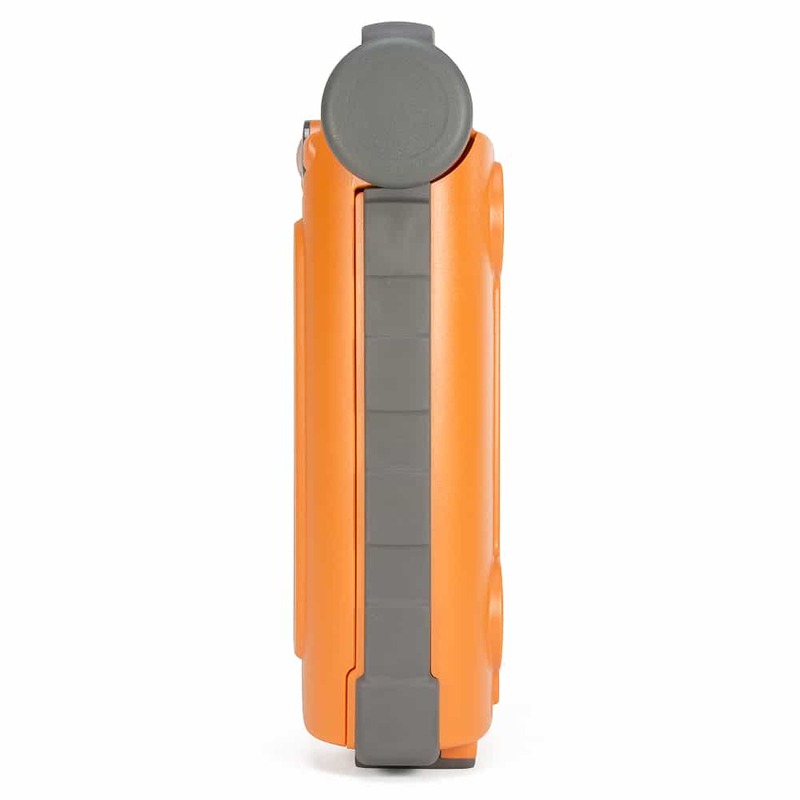 The G5 is loaded with capabilities to allow professional and lay responders to give a patient their best chance of surviving a sudden cardiac arrest event. 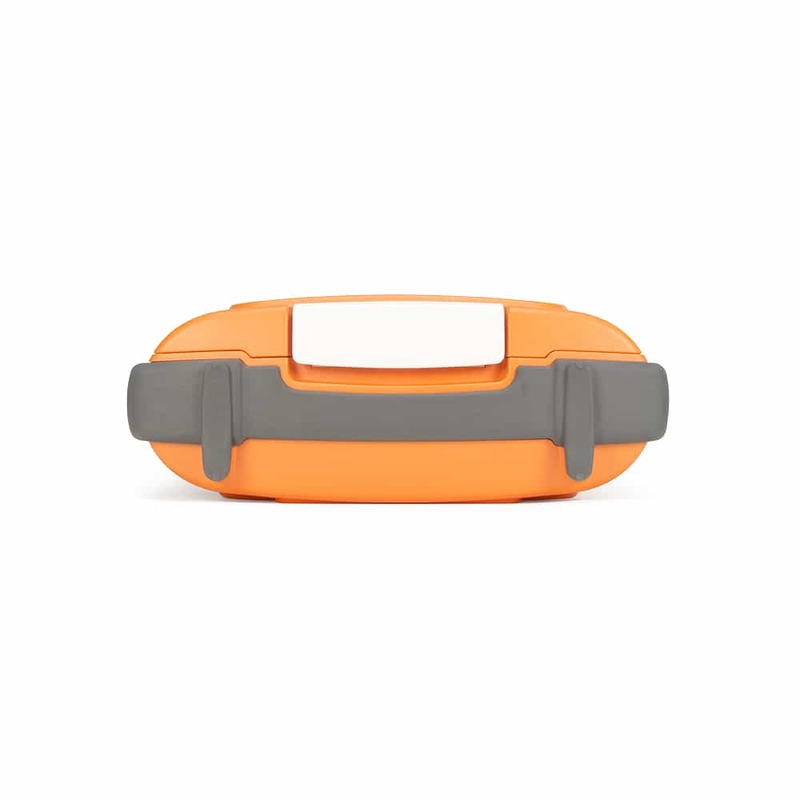 Identical, non-polarized electrode pads can be placed at either location on the victim's chest. Cardiac Science and the G5 unit are a great unit for the community to place into areas for public access. 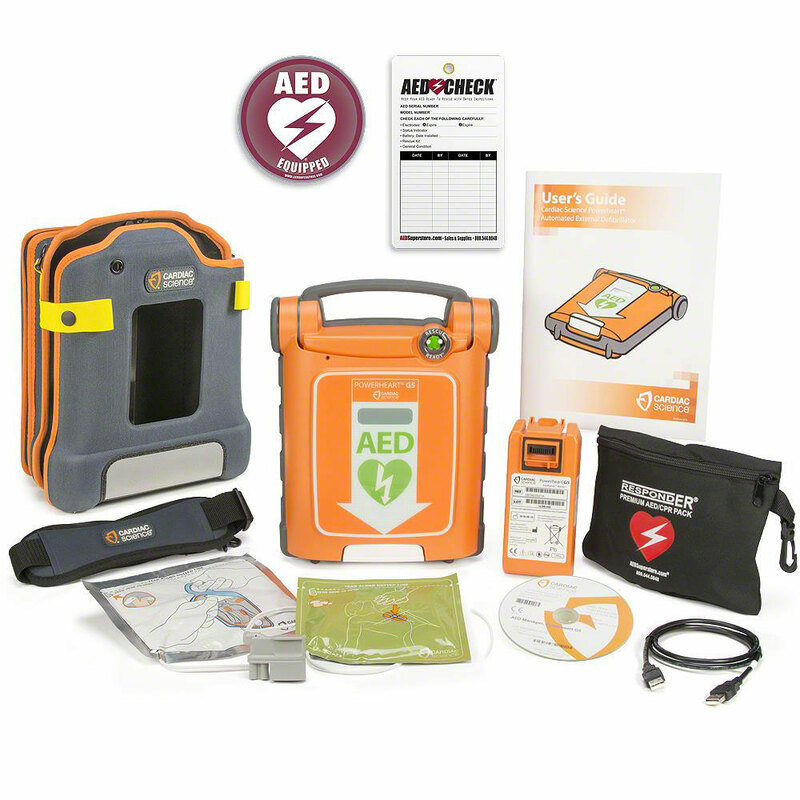 They are bilingual, easy to operate, and Cardiac Science and the AED Superstore have outstanding customer service. We have partnered with the local Rotary Clubs and we have been able to place over 30 units into the community and private businesses. Getting ready to implement the iCPR pads to make them even better in a true community effort to improve survival in out of facility arrest in our communities. 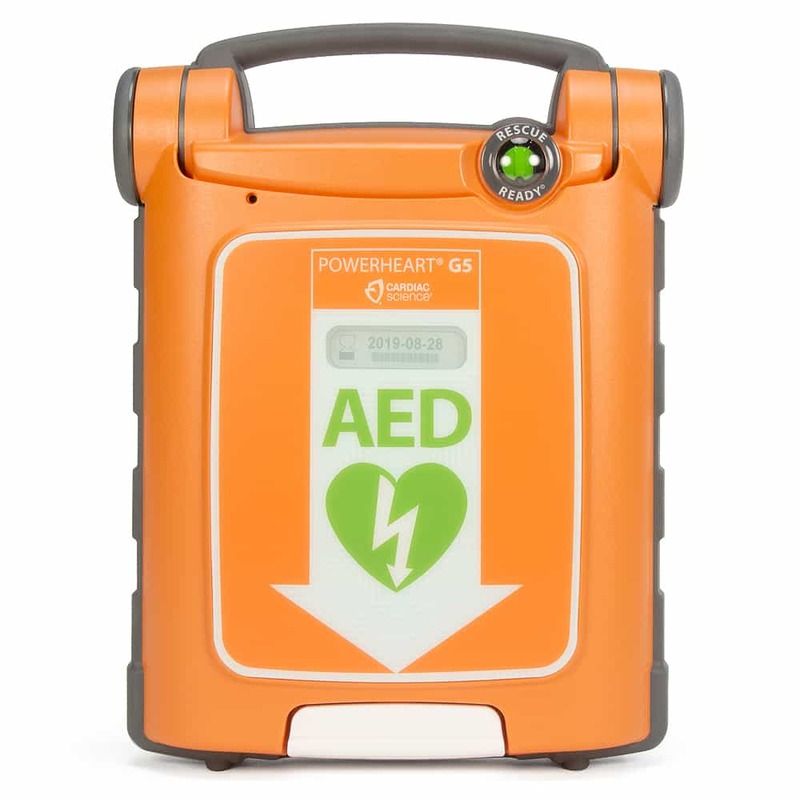 I was concerned about ordering an AED online so wanted to share my positive experience with others. 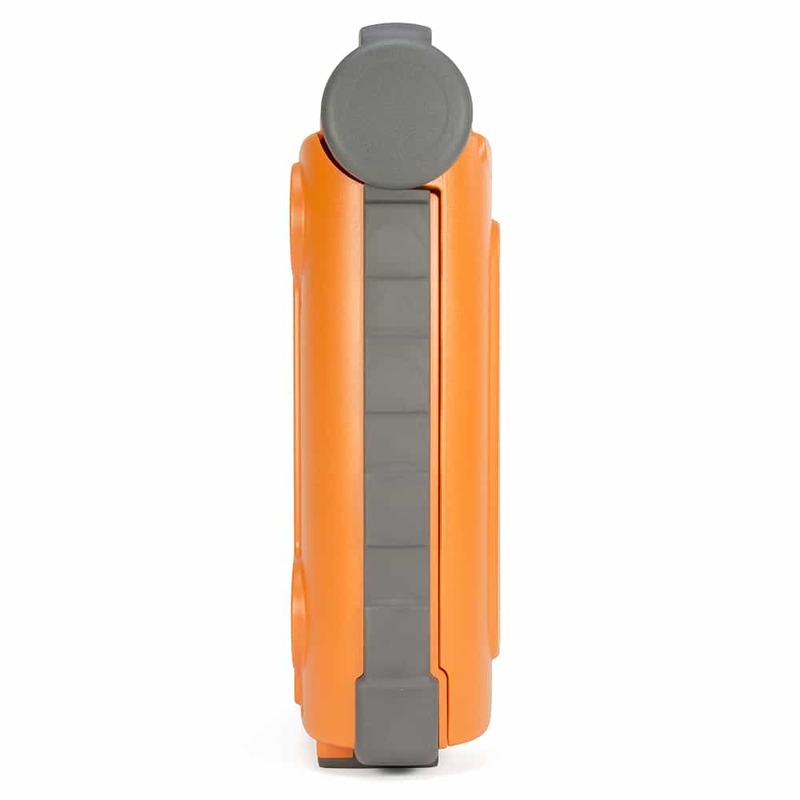 We decided on the PowerHeart G5 after speaking with one of their engineers at a local training class. It's a great product. Well made and very easy to use. I shopped around and found AED Superstore had the best pricing. 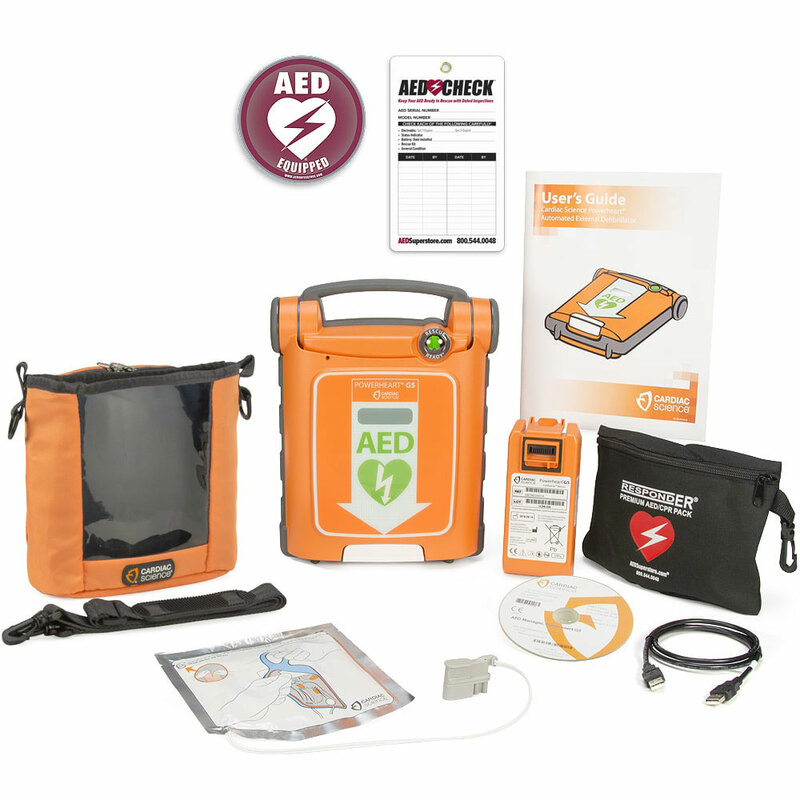 I called Cardiac Science and was assured that AEDS was a certified dealer and one of their largest suppliers. After ordering, I emailed to verify that a prescription would be included (as it wasn't listed in the order confirmation and we needed it to get reimbursed from our HSA). I got a reply from customer service in 6 minutes. It shipped the next day and arrived 4 business days later. Well packaged. Everything included. Ran through all the initial checks and everything works perfectly. It was a great shopping experience. I highly recommend AEDS.